Asset protection planning coincides with numerous financial arrangements designed to keep an individual's assets free from claims made through legal proceedings. The goal is to plan for the long term with the intent to exempt assets from taxes while preventing them from being turned over to pay a judgment. You work hard to get ahead and gain wealth. Your plans should grow with your success, so you can assure that your net worth is not left vulnerable. 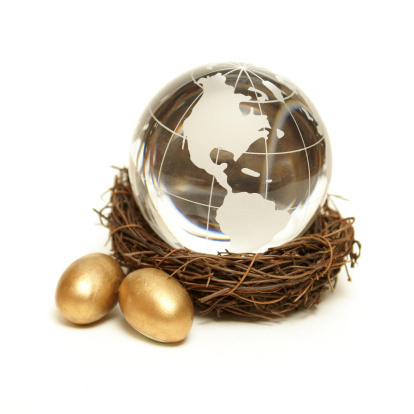 Asset protection planning strategies may include retirement plans, estate planning, establishing a limited liability corporation, trusts or hedge funds. There are a number of reasons to consider one or more of these financial arrangements. More than the achievement of success, the plans to protect and keep safe your financial wealth is no minor consideration. It is to be expected that as wealth increases, so does the attraction it generates from a variety of sources. The idea that there is money to be made from deep pockets, for many, is an irresistible challenge. From lawsuits to identity theft to taxes, the effort to protect assets from judgments, to reduce a high profile from tempting unsavory characters and to establish a tax mitigation strategy is paramount. Most people are familiar with the standard retirement plans such as IRAs, pension or 401(k) plans. There are also trust instruments within which assets are held for the named beneficiary. The difficulty faced with placing funds in domestic financial instruments is the vulnerability to risk dependent upon jurisdiction. With an irrevocable trust, a court cannot order the settlor, the individual investing the funds, or the trustee, the individual or banking institution managing the funds, to turn over assets in order to pay a judgment. Further, an offshore trust is not affected by domestic laws and therefore is completely protected from any judgments or taxes that would otherwise be levied. There is an off-shore life insurance plan that enables the settlor to invest in hedge funds under the direction of the trustee for the purpose of generating tax-free growth. When you purchase a customized U.S.-compliant life insurance product, assets may pass to the next generation with the added benefit of a tax shelter. As long as this product is purchased as an offshore investment, meaning no transaction occurs on U.S. soil, it is a tax-free opportunity also free of political stresses with far fewer restrictions. This is also an instrument that allows you to plan for the future whether that might be to pay for your descendants' higher education, charitable donations, investing in your child's start-up business or ensuring the money is there for your child's wedding day. For asset protection and tax planning, the offshore variable life insurance product is an attractive alternative to domestic markets. With the ability to wrap investments within a life insurance policy there is greater diversification of funds for safer investing. The peace of mind knowing the present is protected while your future is taken care of means more freedom to continue with plans whether that is pursuing philanthropic or entrepreneurial endeavors.